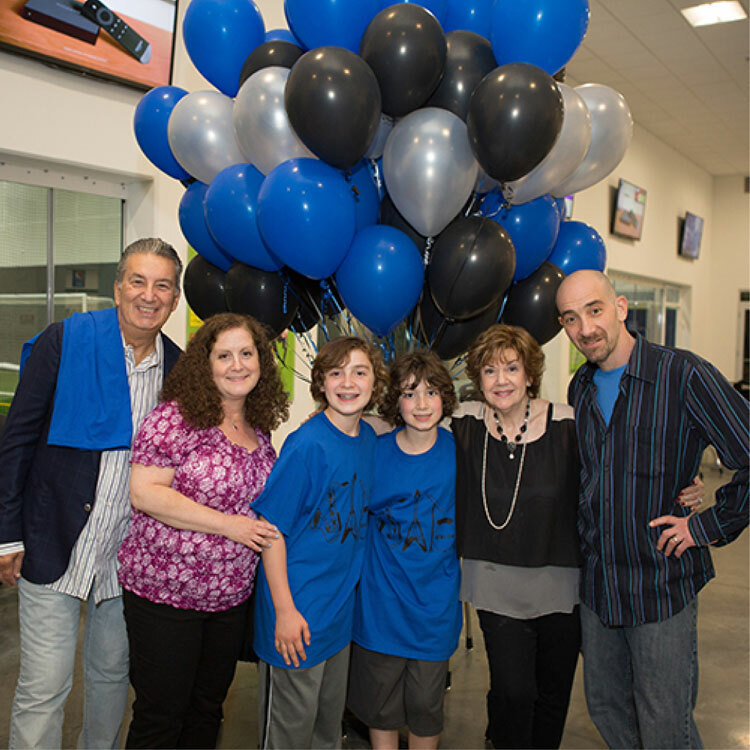 Have your next birthday party at Athletico Center! 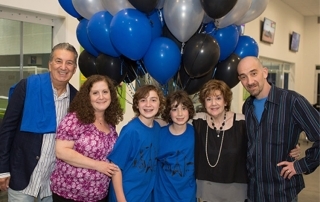 Let our experienced birthday party planners and activity staff help you create a once in a lifetime experience for your child! The Athletico Center boasts a 76,000 sq. 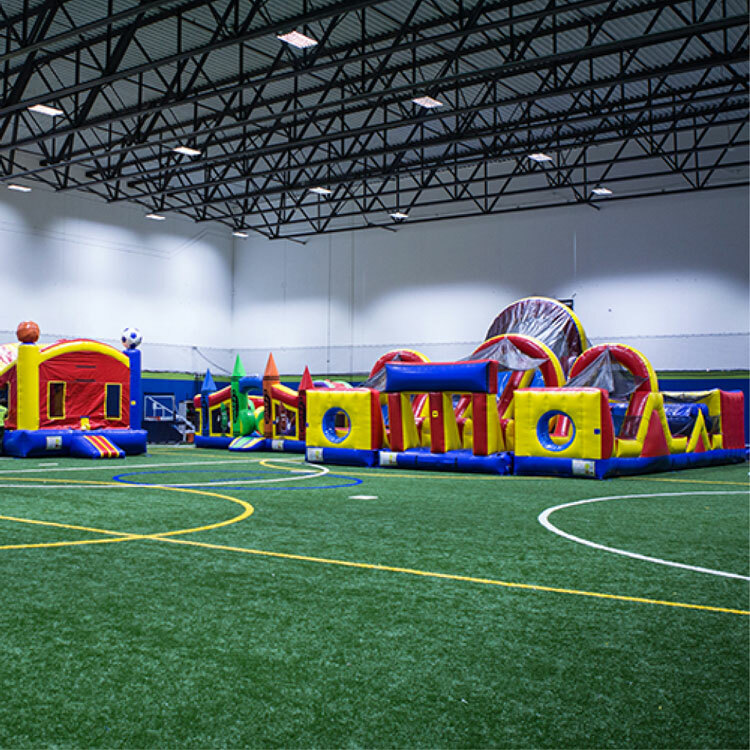 ft. indoor field with artificial turf and a full size basketball court, both of which can be divided with drop down curtains to make your birthday party as big or as small as needed! 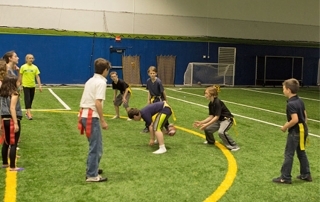 Play football, soccer, dodge ball, relay races or any other sport that you can think of! Jump on our wide assortment of inflatables! 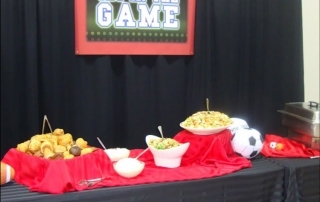 About: The court party package, includes activities led by experienced staff members, all equipment, balloons for the party room, water and Capri Sun, plastic table cloths, plates, napkins, forks and cups for the children. 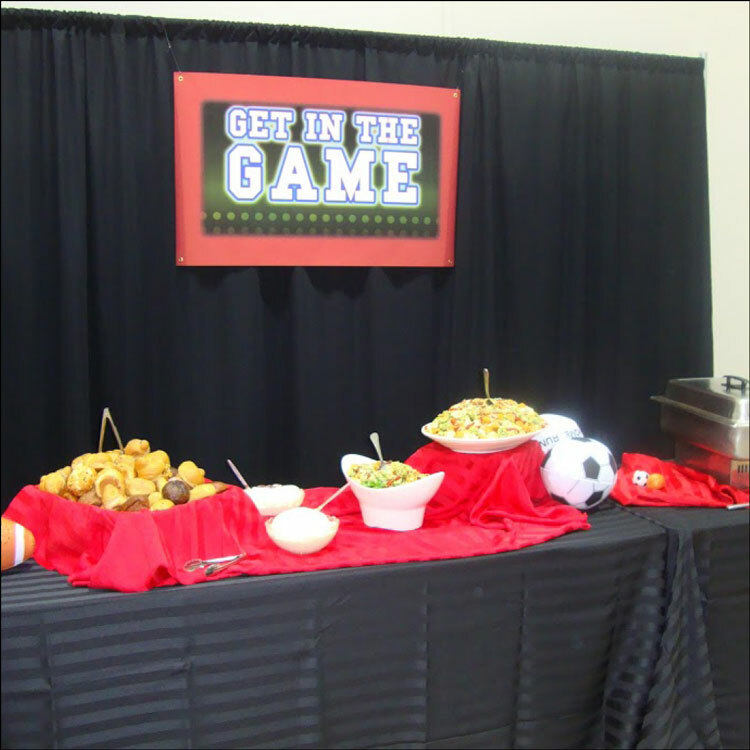 About: The Turf Party Package, includes activities led by experienced staff members, all equipment, balloons for the party room, water and Capri Sun, plastic table cloths, plates, napkins, forks and cups. About: The Lil’ Kickers party package, includes activities led by experienced staff members, all equipment, balloons for the party room, water and Capri Sun, plastic table cloths, plates, napkins, forks and cups. 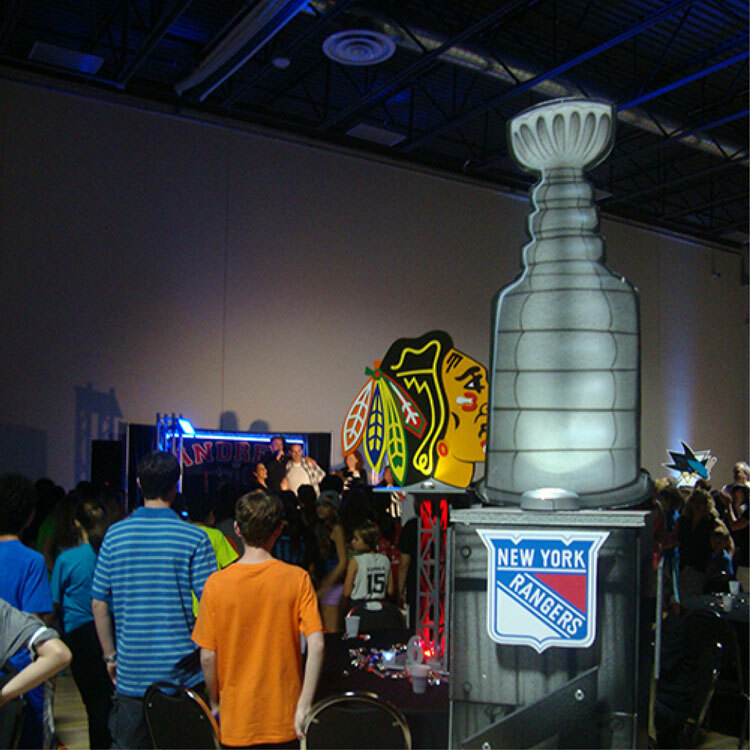 The final 30 minutes of each event are spent in the private PRO-TEAM Party Room. 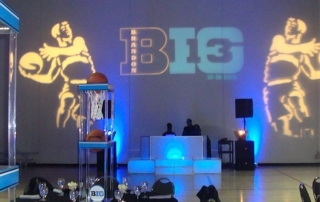 We are happy to incorporate into the set-up the theme accents THAT YOU BRING. PLEASE NOTE: NO glitter and NO confetti-type decor. Maximum 15 additional kids. Additional upgrades or enhancements may be provided on request at additional cost. 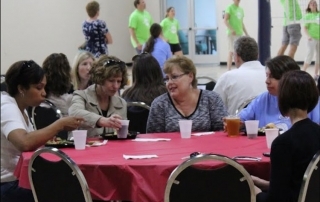 Have more than 30 attendees or wish to make it a bigger event to include adult guests? Please contact us. Pizza is available for an additional $20/pizza (Cheese, Pepperoni, and/or Sausage). Pizzas can be ordered at the time of booking. Each pizza is baked for your party in our pizza ovens. The pizza is large 16” and serves 8 – 9 children. 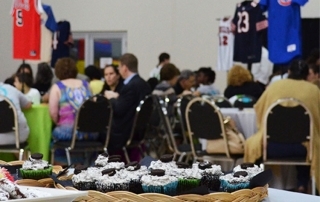 NO outside food, snacks or drinks are permitted inside the facility except birthday cake, cupcakes, and/or related treats like cookies, brownies, and veggie/fruit trays. Allergies and religious dietary laws: Please contact us with any food allergy requests. If you need to change the date of your party for any reason 45 days prior to your scheduled party date you can do so for a $50 cancellation/rescheduling fee. With less than 45 days advance notice of your scheduled party date, all cancellations will result in a $200.00 booking fee. PARTY WILL BE BOOKED AT TIME OF PAYMENT; PARTY TIMES CANNOT BE HELD WITHOUT PAYMENT. Do we have to pay for the party when we reserve? The price of the party package you request must be paid in full at the time of booking. Add-ons may be purchased anytime up to two weeks prior to your party. Party times can’t be held without payment. What is the cancellation policy? Things change, we understand. However, by taking your reservation, we exclude others from booking. If you need to change the date of your party for any reason 45 days prior to your scheduled party date you can do so for a $50 cancellation/rescheduling fee. 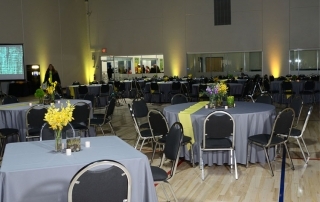 With less than 45 days notice of your scheduled party date, all cancellations will result in a $200.00 booking fee. How early can we arrive to the party? We ask that all Birthday party guests and participants arrive no more than 15 minutes before their party start time. No need to worry about set up, your party host is available to set up all your party needs. If you do arrive early you will be asked to wait in the lobby until the party room is ready. What is your policy on outside food? The only food allowed is fruit/veggie trays and dessert (birthday cake, cupcakes and/or related treats like cookies, brownie etc.). 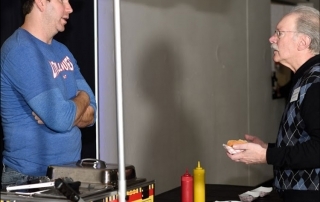 Absolutely NO other outside food, snacks or drinks inside the facility. Do you prepare food on-site? Yes, at our facility we have a full functioning kitchen that allows us to provide pizzas, hotdogs, pretzels and chips. Can we extend the time of our scheduled party? Yes, you can extend party time during the months of April through October 31st if there is space available to accommodate. Unfortunately, during the winter season months of November through March we can not extend the party time. How many activities can be played throughout the party? Your options vary depending on the age, number of participants and activity space. We will work with you to provide age appropriate games, activities and sports to plan a party that is a great experience for the the birthday child and friends. We are more than happy to incorporate the birthday child’s favorite games to make the best party ever! Do I get an inflatable with my party? Yes, an inflatable is included during the hour of your activities. 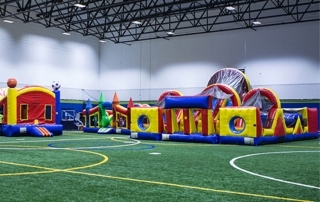 You may pick either the bounce house inflatable (age 5 and under) or the obstacle course inflatable (age 5 and older). Can I have additional children in the package? Yes, you can include additional children in your party. The maximum number of children for a Lil’ Kickers party is 25 and a Court/Turf party is 30. 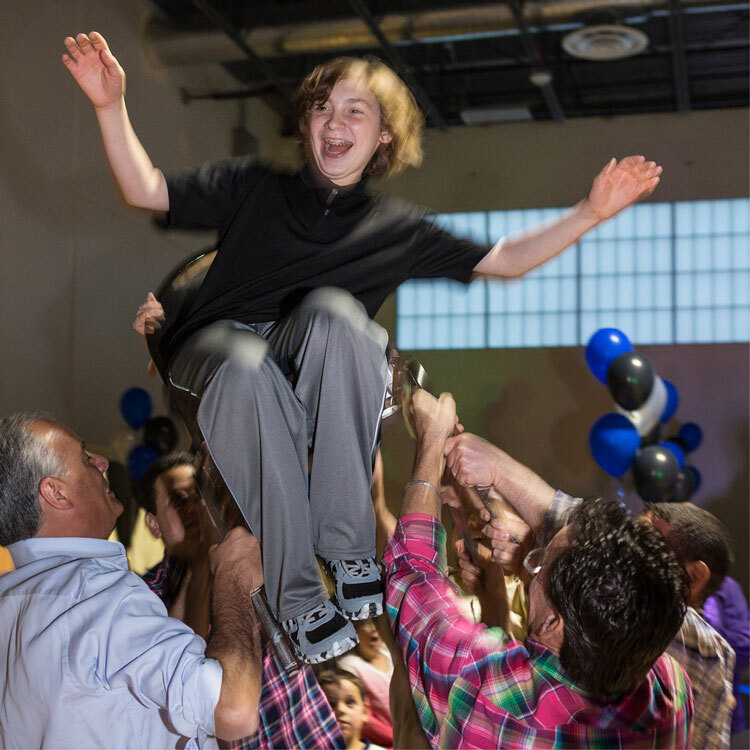 If you would like to have a party with more than 30 children, it is considered a special event as it expands beyond the normal capacity and scope of our package. All special events subject to different pricing and coordinated with the General Manager. Can I have a combo turf and court party? 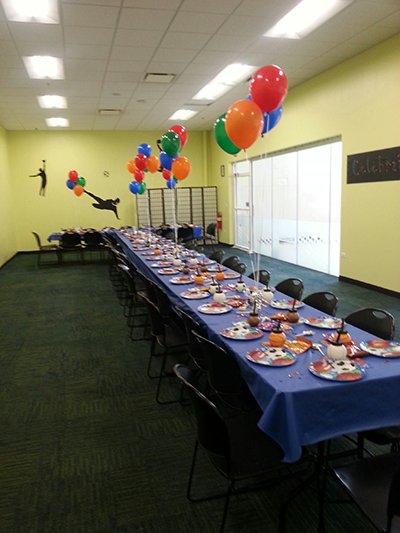 Yes, a combo party option is available during the months of April through October 31st, if space is available. Unfortunately, during the winter season months of November through March we cannot offer the combo option due to limited field and/or court resources. Ready To Party? Reserve your Day & Time Today! 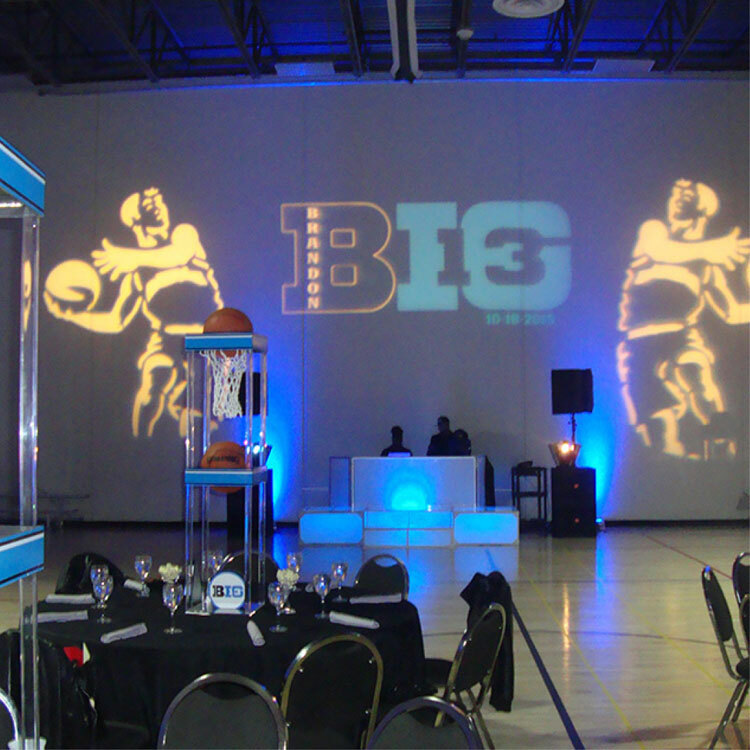 Attending a party at Athletico Center? Sign your child’s waiver online and make Day Of Check-in easier! 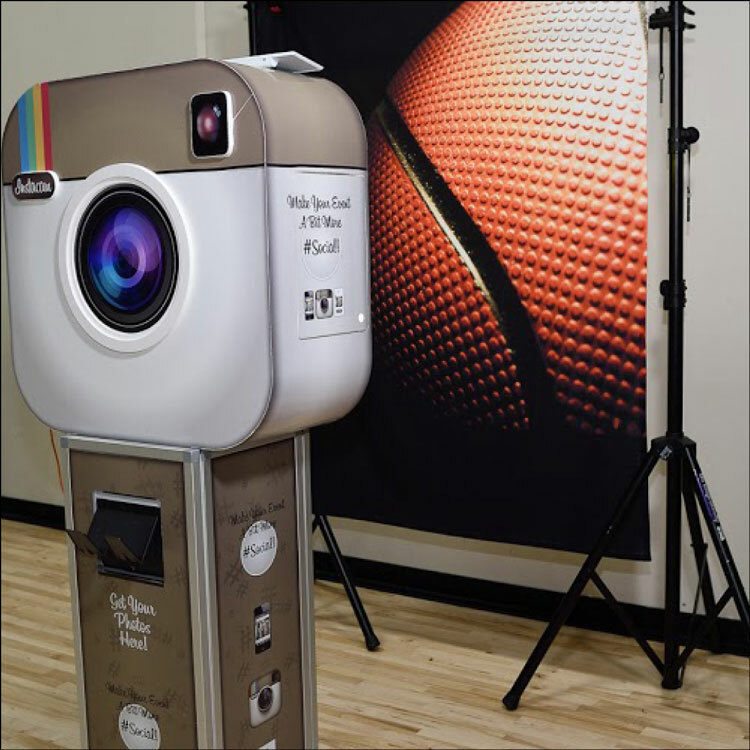 Make YOUR event the most engaging and memorable! 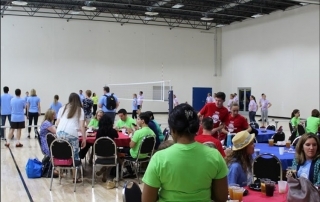 Our event staff provides a turn key experience to help you “GET IN THE GAME” with Team Challenges, Races, Olympics, Tourneys and more. 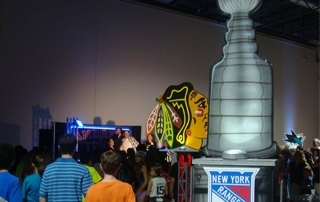 We include all activity creation, management and staffing to turn your event into the best party ever! If you want interaction…but not necessarily traditional sports, we can also craft a Safari, Carnival, Dance Party, Fashion Show…or just about anything that you can imagine. Athletico Center is band and DJ friendly. 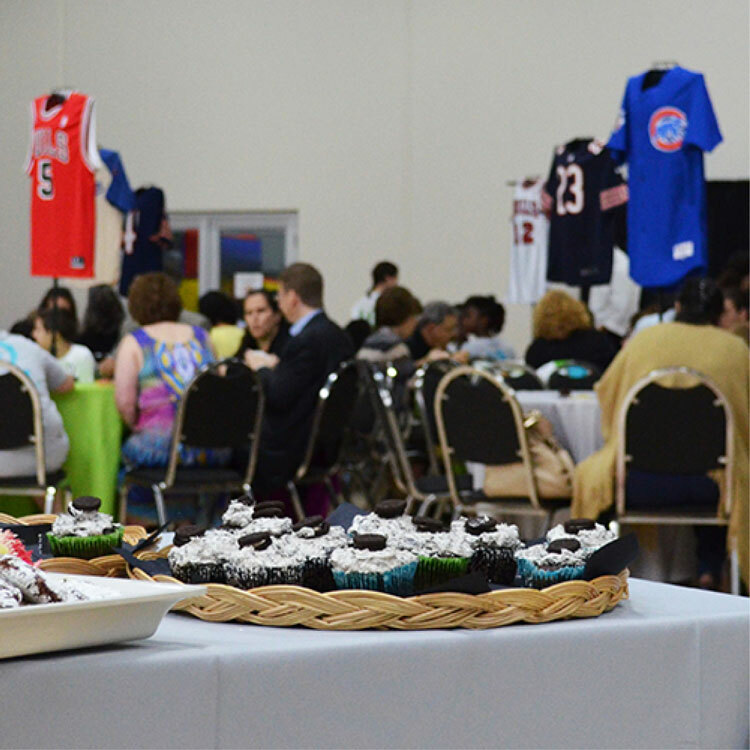 We have an open catering policy, with no minimums—so you can make your event as simple or sophisticated as desired. We provide an in-house bar service ranging from soda packages to full premium bars. 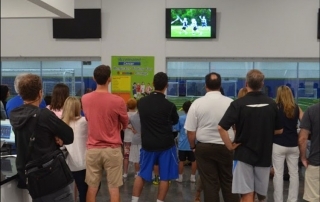 For more information, email events@athleticocenter.com or call (224) 326-2061. We know that in everything you do, you need a valuable return on investment. 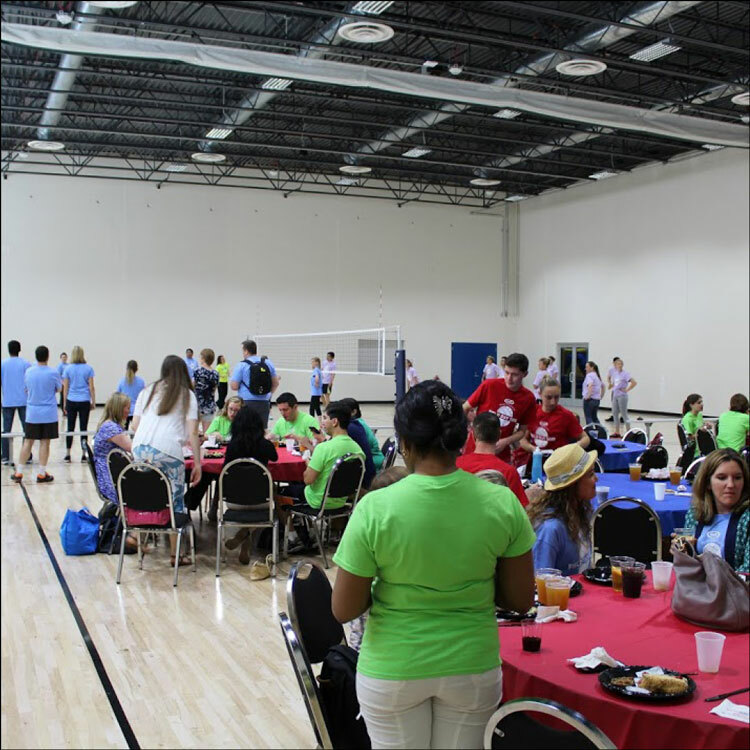 At Athletico Center, we not only deliver a great venue with experienced staff, but provide lasting impact that can change the behavior and attitudes of your employees, partners or clients. 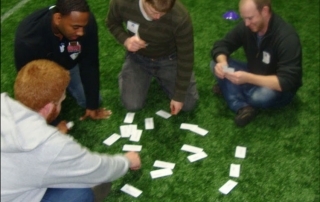 We can help your group “GET IN THE GAME” with Team Challenges or just provide a unique way to have an interactive meeting. 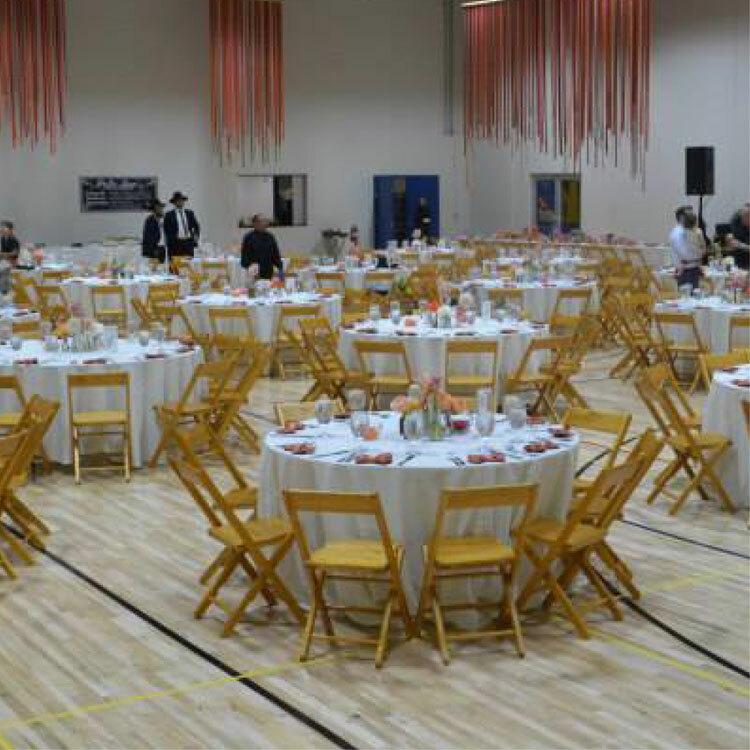 Our large court space can transform into an amazing Awards Banquet, Trade Show or Meeting space. Our turf can deliver Exhibitions, Team Building and outings such as a Movie or Concert “in the Park.” We are available for day or evening events throughout the week. 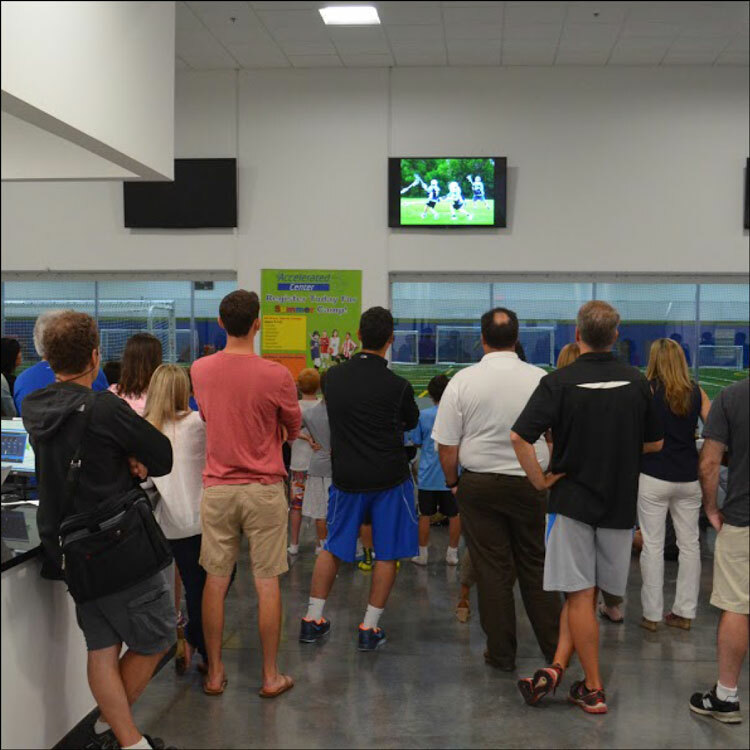 For more information, call (224) 326-2061 or email events@athleticocenter.com. We can build a SPORTS theme around just about anything. 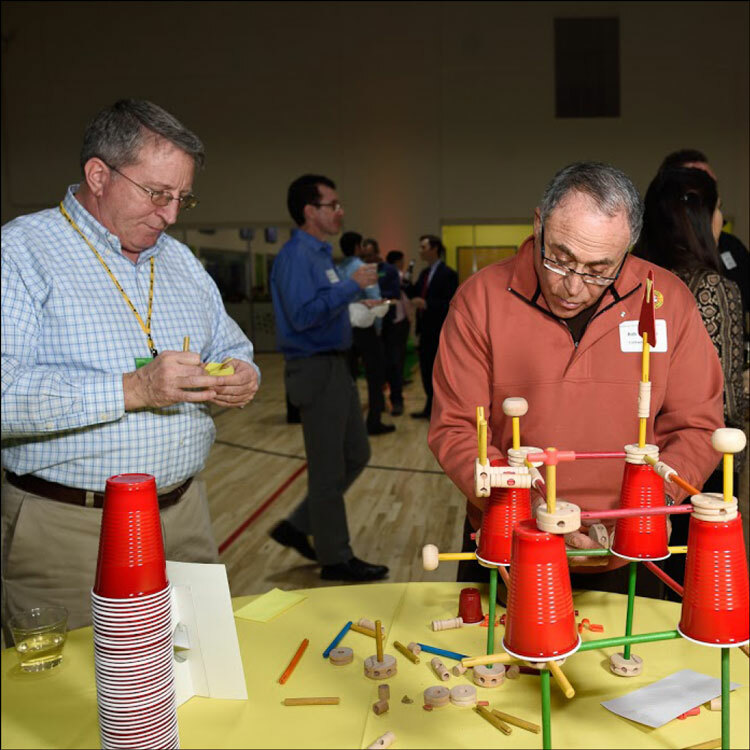 If you are all about reaching goals, increasing performance, beating the competition …we can create a fun and interactive party that enhances your objectives while providing an engaging live event format. Packages like our SUMMER SPORTS SAFARI incorporate elements that appeal to the athletic and the not-so-athletic…it’s all about acknowledging and playing to each individual’s specific strengths. 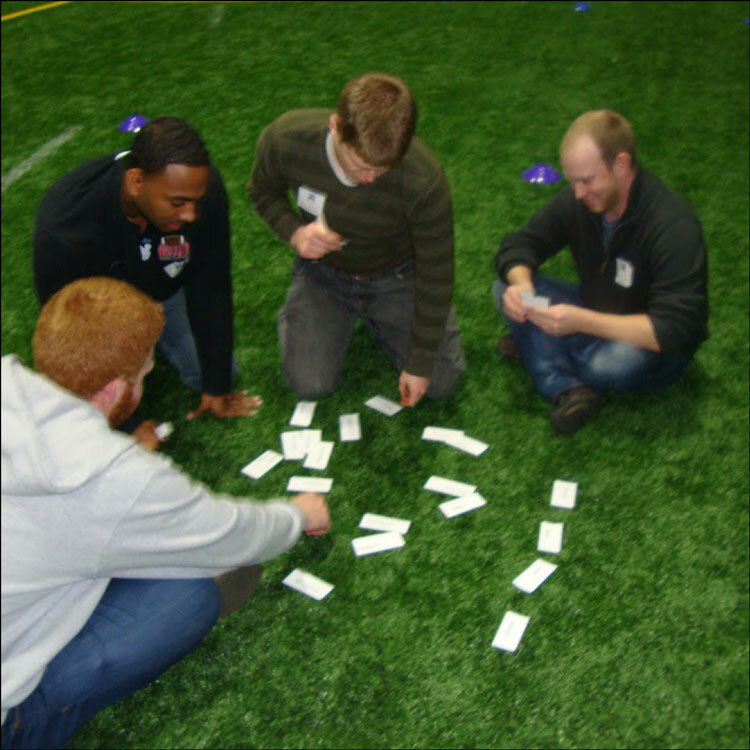 By facilitating interaction in various approaches, we can help you to enhance communications, provide experiential training, deliver messaging, enhance problem-solving and increase camaraderie. Any program can be custom-created to meet specific goals. Programs can be as lighthearted or intense as necessary. The AC AMAZING RACE is an example of a 4-5 hour package (with lunch) that would include a series of team-based activity and would get more in depth with skill building and targeted goal-related challenges. If your group simply wants to get a little sweaty and have a few beers — that is perfectly fine. 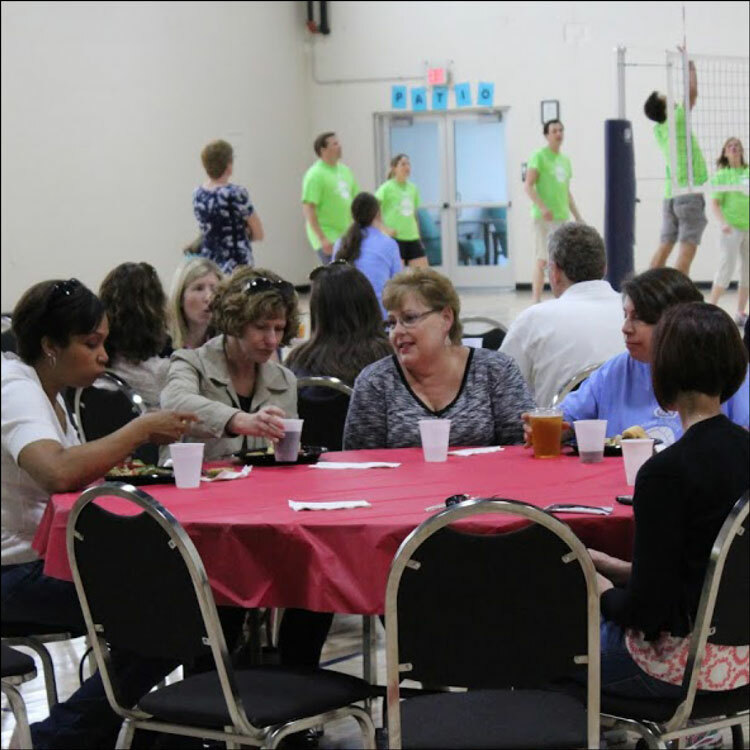 We are happy to provide a GAME NIGHT or FAMILY OUTING. 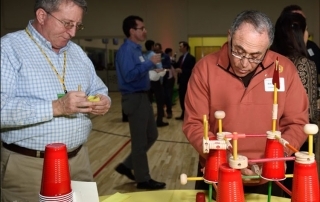 If you would love a COMPANY PICNIC option with no worries about bad weather—we have 76,000 square feet of indoor field and all of the activities you can imagine under one roof. 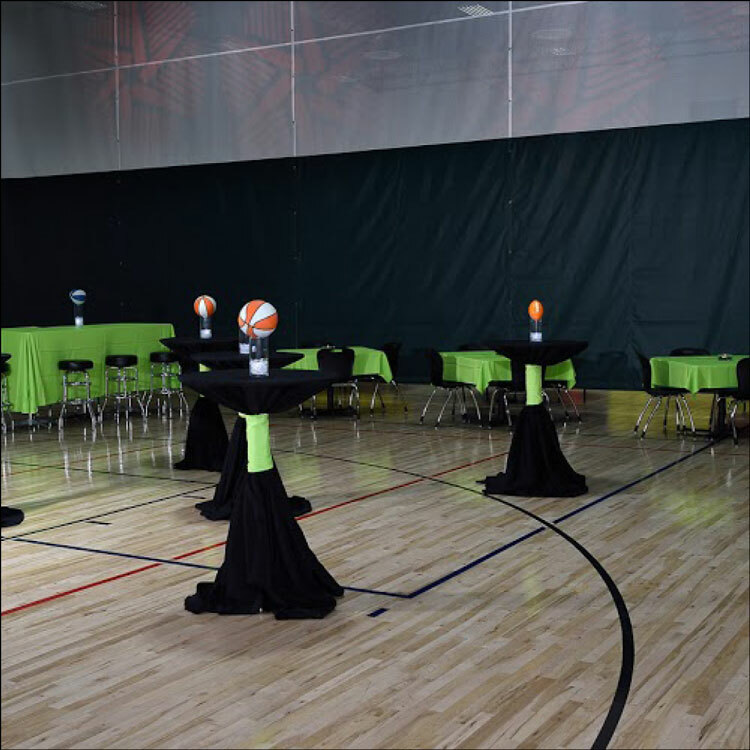 Whether the time of year you are celebrating is WHITE CHRISTMAS, COLORFUL KWANZA, HAPPY HANUKKAH, MERRY MARDI GRAS….or maybe MARCH MADNESS, the Athletico Center can offer a transformable space ready for fun theme decor, entertainment, and interaction. Book Now for Winter Savings! Get a jump start on the merry making for your holiday or “season wrap-up” celebration! Save a little jingle…. 20% Discount on Mid-day, Mid-week programs (M-F 11am-3:30pm) booked through January! 10% Discount on Evening Events through December 19. No time to handle lots of details? Don’t worry-our events department will get you to the finish line. Premium bar available with flexible catering options. 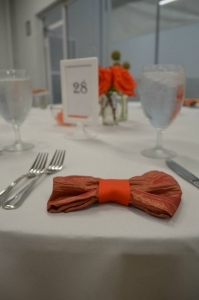 All tables, chairs, linens, and festive touches included. Experience coaching and production staff for all events. Part of our mission is to encourage interaction and to build communication skills through physical activity. We can help craft a fun and affordable way to encourage exchange among kids or between adults and kids. We love to root for YOUR team! 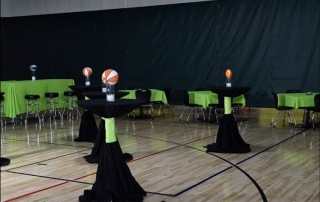 Whether you need a different way for your team to build some skills, or just a cool place to have an awards banquet or fundraising event, Athletico Center can offer the right fit for any TEAM function. For once in a lifetime occasions, celebrate with an event that can completely match the honoree’s style and personality. As casual or elegant as you require, Athletico Center offers you the ultimate flexibility! 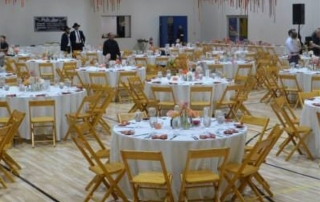 Whether your gathering is for 50 or 1,000, we have the space and the resources to create whatever atmosphere or interaction is desired. With indoor and outdoor options, ample parking, coat check, an experienced event management team and professionally trained activities coordinators, whatever you imagine can be a reality. 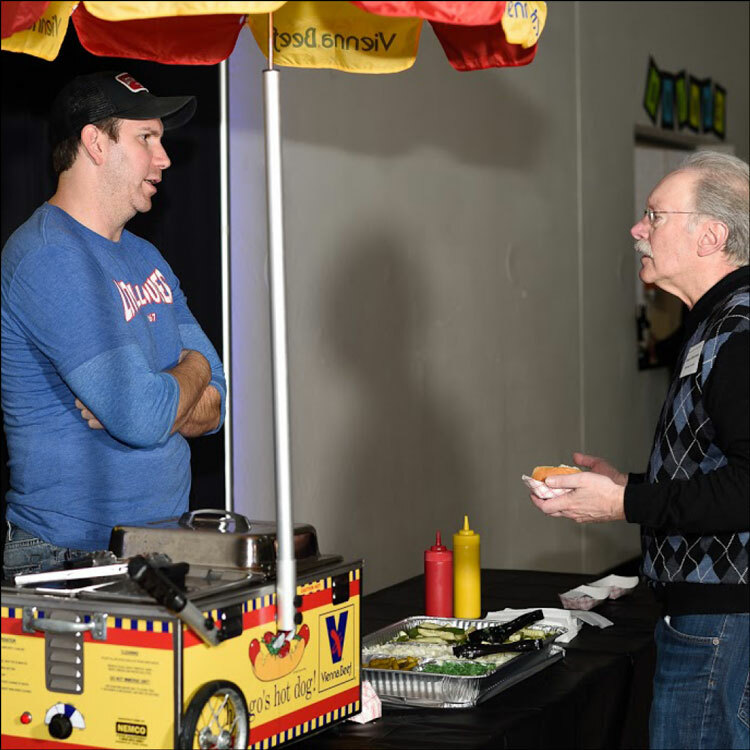 We are a community business vested in giving back, and we can help you put the FUN into raising the important FUNDS that support your cause. Whether you already have an event concept—or need one, we can help you craft an idea that will be logistically and financially successful. We have an Open Catering policy and can work with your food donations from commercially licensed partners. 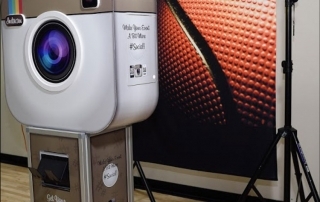 A great way to encourage Social Responsibility while building your group morale. Get your crowd to provide items for a local charity (canned goods, pet items, toys–options will be outlined.) Teams will use the donations, plus some other creative items, to compete as they build and play a fun mini golf course set on our lush turf field. It’s a Win-Win! 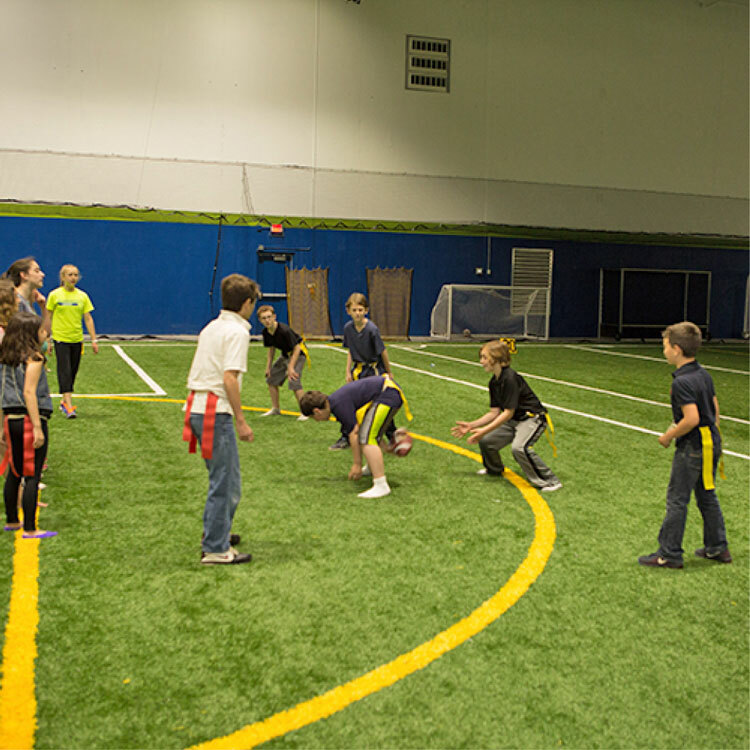 With plenty of flexible use space, Athletico Center is a great option for a variety of functions requiring large, adaptable space. 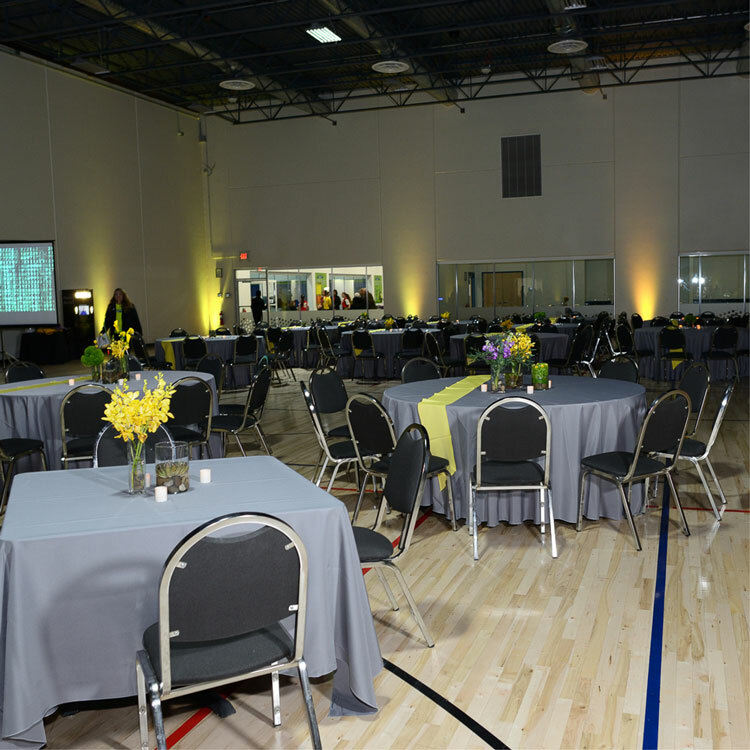 Whether you want to influence employees, clients, or donors—or wow your friends and family, the venue provides a flexible environment that can be transformed to meet your logistical or creative needs.